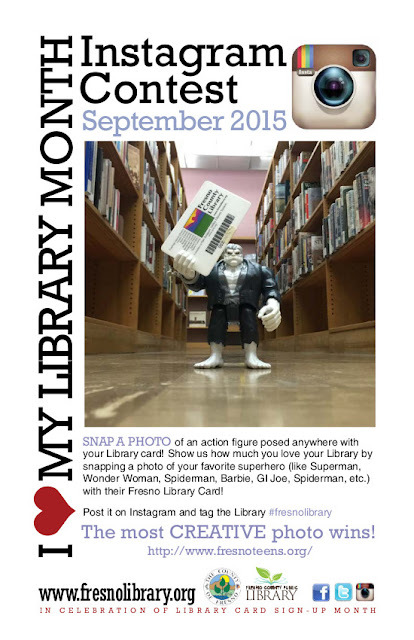 FCPL Kids: I Love My Library Instagram Contest! I Love My Library Instagram Contest! It's I Love My Library Month and to celebrate we are having a contest! Pose your favorite action figure anywhere with your library card and post your photo to Instagram for a chance to win tickets to ZAPPCON and prizes.